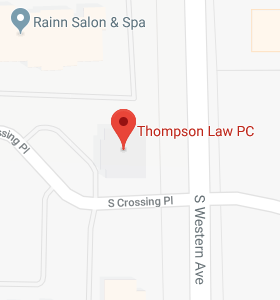 Special Accounts for People with Special Needs - Thompson Law, P.C. Those with special needs have unique challenges in life. But, there are special accounts available to individuals who were disabled before age 26. The Achieving a Better Life Experience or “ABLE” Act created ABLE accounts under section 529A. As discussed in the last blog, 529 accounts give preferential tax treatment when the accounts are used for educational expenses. ABLE accounts are similar in structure to the 529 educational accounts. The income earned on the assets in ABLE accounts is not taxed currently. When distributions are made for “qualified disability expenses,” the income is not taxed at all. Qualified disability expenses include a wide variety of expenses, including education, housing, transportation, personal services, etc. (If distributions aren’t qualified disability expenses, the income is taxed and there’s a 10% penalty.) But, the tax benefits are just one of the advantages of an ABLE account. ABLE accounts can only be set up for someone who was disabled before age 26 and within the limits detailed above. 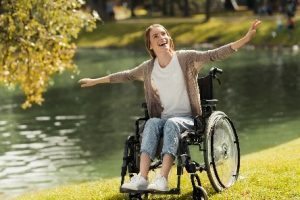 If someone is not within those limits, they can have a “Special Needs Trust” which does not get the tax advantages of the ABLE account, but which will keep the assets from being considered available for public benefits. Some expenditures from a Special Needs Trust, for example for housing, would be counted as In-kind Support and Maintenance, or “ISM.” ISM reduces the SSI the beneficiary receives. One way an ABLE account can be particularly helpful is that it can pay for expenses which would have been ISM if the Special Needs Trust paid for it. That way, the beneficiary wouldn’t get the reduction in SSI from the ISM. ABLE accounts can provide tax benefits, flexibility, and dignity to disabled beneficiaries. They are a great strategy to consider for individuals who were disabled before age 26.